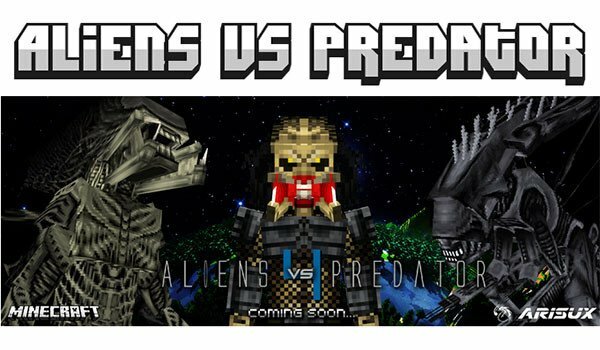 We have available the updated mod Alien vs Predator in Minecraft format. Alien vs Predator 1.7.10 is a mod that has grown a lot and in a short time managed to provide a lot of elements and blocks based on the movie. Also find three main mobs, and a few others, but the key would be, the predators, aliens and marines. Besides the mod gives us a certain amount of weaponry such as mines, pistols and machine guns like the M4. Since its last release we have a new material (titanium) that we will use to create new weapons, tools and armor. How to install Alien vs Predator Mod for Minecraft 1.7.10? Paste “AIRI.jar” downloaded file into .minecraft / mods folder. Did this mod take out the old controls like high jump and predator cloak and night vision stuff?